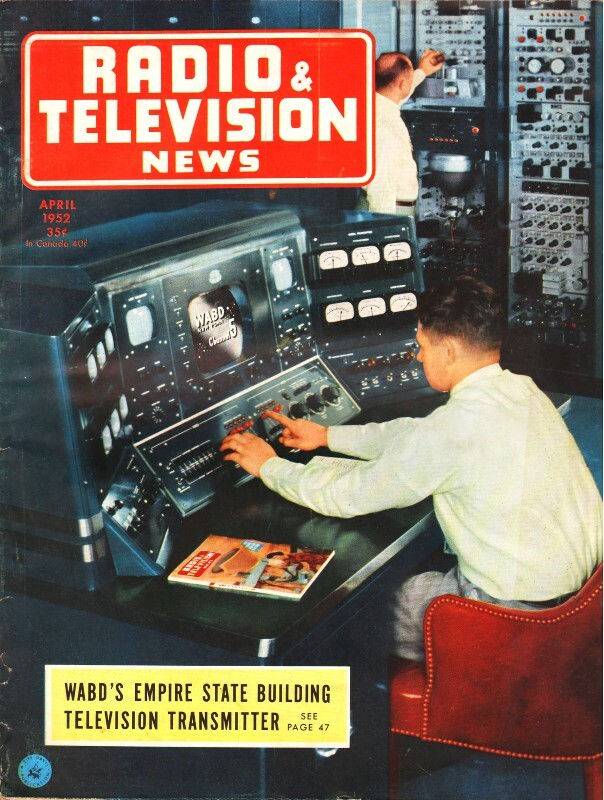 Less than half a decade had passed since the invention of the transistor when Radio & Television News editor Oliver Reed wrote this piece extolling the virtues of the transistor and how "it may well revolutionize the entire electronics industry." If you have followed a lot of my postings from the vintage electronics magazines here on RF Cafe, you are well aware that there was a lot of resistance to and doubt about the future of semiconductors. Naysayers had the same kind of reaction to the advent of the horseless carriage (automobile) and locomotive, relativity and quantum mechanics, and even curative medicines. Point contact transistors were still largely in use, but were costly compared to the relative simplicity and low cost of junction transistors once the manufacturing details were worked out - which, as we now know, happened very rapidly. By 1965 the process was so refined that Gordon Moore formulated his eponymous law predicting a doubling of transistor density on wafers every 12-18 months. Few developments of recent years have served to stir the imagination as has the "junction transistor," announced by Bell Laboratories last year and described more fully on page 38. If this new device lives up to its advance notices, and there is every reason to believe that it will, it may well revolutionize the entire electronics industry. It would be well to insert a word of caution at this point. The junction transistor has some characteristics which limit its field of application, at least in the present state of development. For example, the maximum gain can be realized only at frequencies up to a few kilocycles, although useful gain as high as a megacycle or more has been achieved. Transistors are essentially low-power devices. One unit, having a cross-sectional area of about one square centimeter, has been built which is capable of producing an output of two watts, but conventional units are rated much lower. Another disadvantage which is being rapidly overcome is the difficulty encountered in mass-producing these items. In spite of these disadvantages, the junction transistor is one of the most exciting developments to emerge from the research laboratories of this country in recent years. The characteristics of extreme ruggedness, long life, small size (about half the size of a pea), small power requirements, and high gain will permit the junction transistor to be used where heretofore conventional tubes were not even considered. Also, it is reasonable to believe that these units will replace vacuum tubes completely in many pieces of complex electronic equipment, such as electronic computers, and that they will be utilized in such applications as industrial electronic controls, controls in aircraft, and innumerable other locations where ruggedness, small size and reliability are paramount virtues. One can foresee many military uses for this device, particularly in the field of proximity fuses and guided missiles. If the frequency response can be improved, and there is every reason to believe that it will be, its field of usefulness will be tremendously increased. Even in the present stage of development, it can be used along with the point-contact type of transistors, which have a frequency response up to 75 megacycles, and are now in mass production. The junction transistor operates very satisfactorily at extremely low power levels. For example, Mr. R. L. Wallace at Bell Laboratories built an audio oscillator which operated satisfactorily with a power input of only 0.08 microwatt, provided by a power supply of 55 millivolts at 1.5 microamperes! Useful amplification is possible with input powers in this order of magnitude. It is thus conceivable that an amplifier or other electronic device could be built using this transistor which would last indefinitely, completely unattended, if powered by the new atomic battery recently announced, or some other long-life source of power. Junction transistors are not available commercially at this time, and the point-contact type are available in only limited quantities. However, a great deal of effort is being spent in readying these devices for commercial applications, and it should not be too many months before small quantities will be available for experimental purposes, with full-scale production following very shortly. It is highly improbable that the transistor will eventually replace the vacuum tube. It will, however, serve as a means of obtaining ultra compact and highly stable electronic devices for the home, for industry, and the military - O.R.